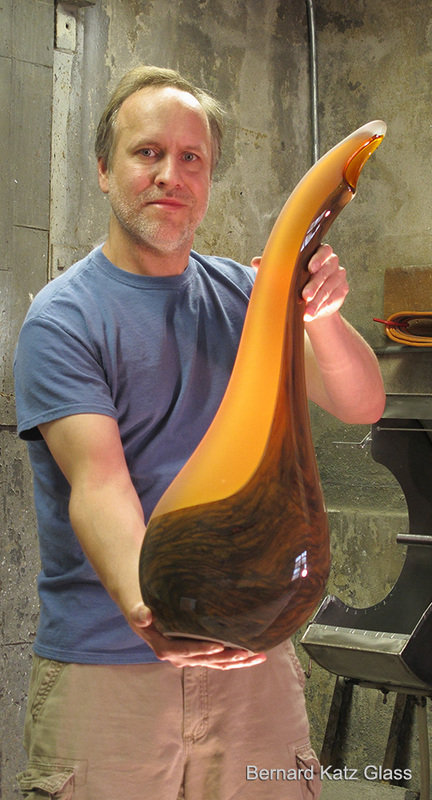 Combining opaque cinnamon brown and transparent aurora yellow creates a unique blend in glass color for our cinnamon collection by Bernard Katz. 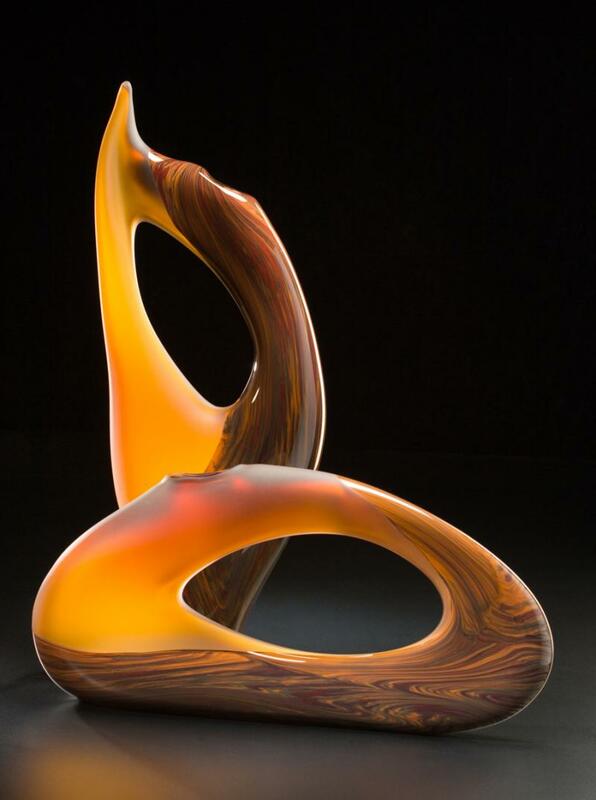 Approx Size: 23" x 9" x 4"
Each piece is hand blown, not mold made; dimensions are approximate but very close to size. 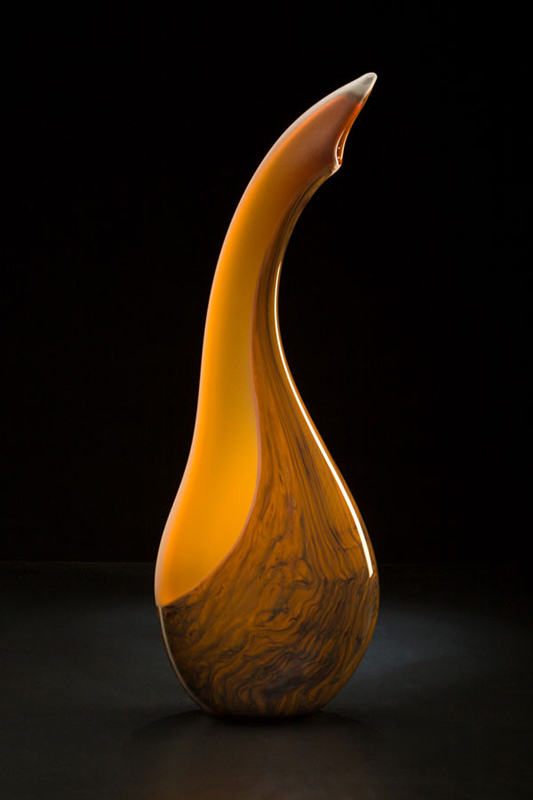 Graceful and tall organic glass sculptures. 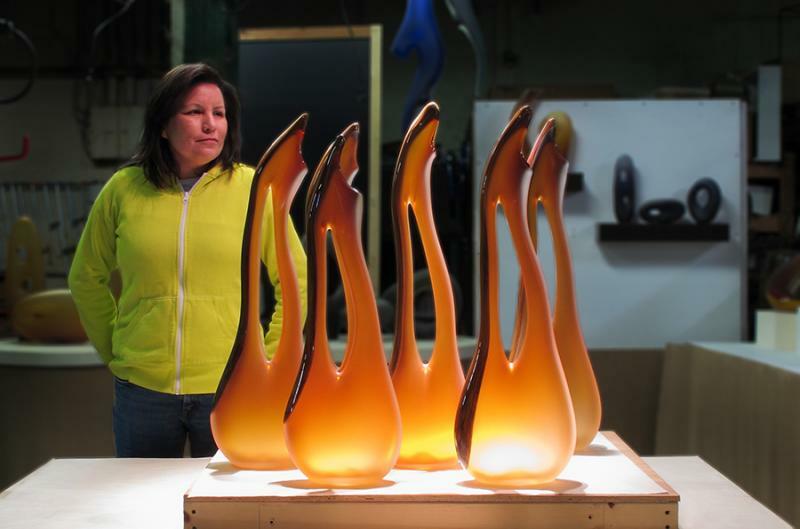 Each one is hand blown and sandblasted to reveal a rich color blend of brown tones from the Cinnamon color. 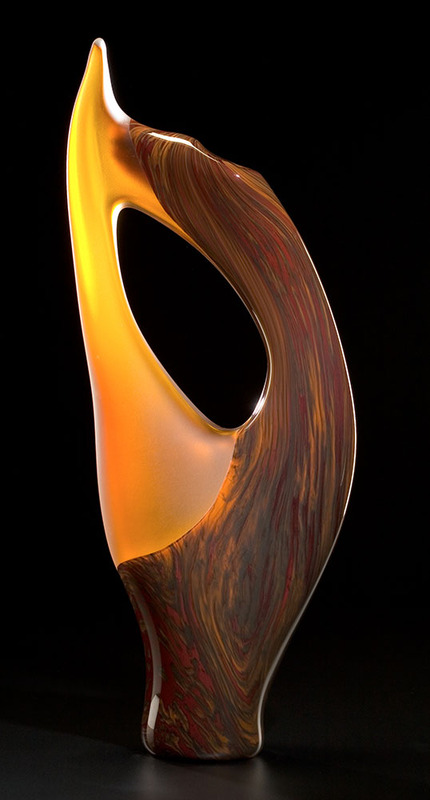 Hand blown glass shown in Cinnamon color by glass artist Bernard Katz. 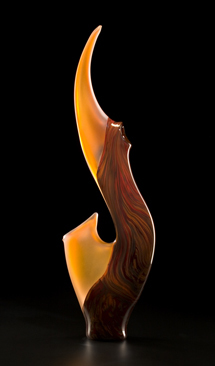 We sell directly to the design trade to inquire about pricing, please contact us directly. 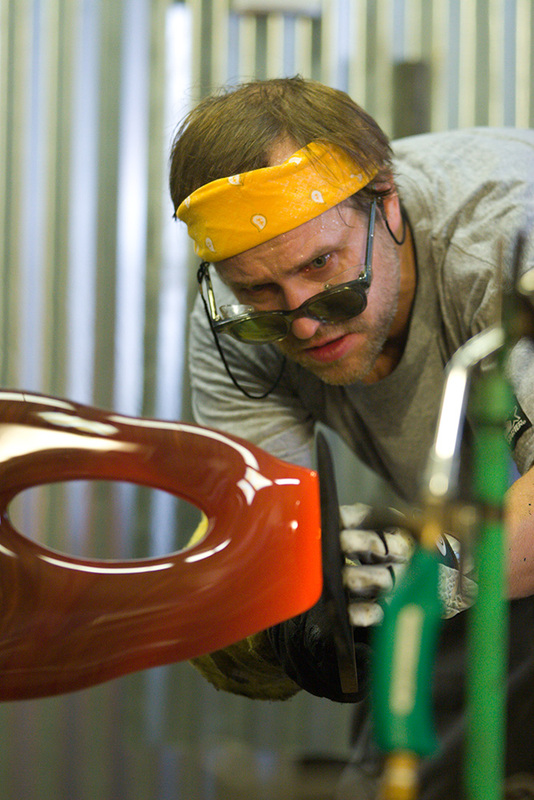 Each piece is hand blown glass, not created by a mold and all sizes are approximate. 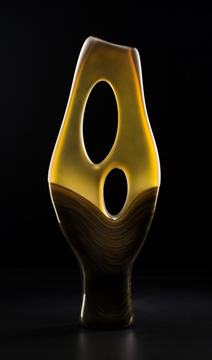 The horizontal sculpture of the Trans Bolinas was inspired by a day on a West Coast beach, both in name and form. 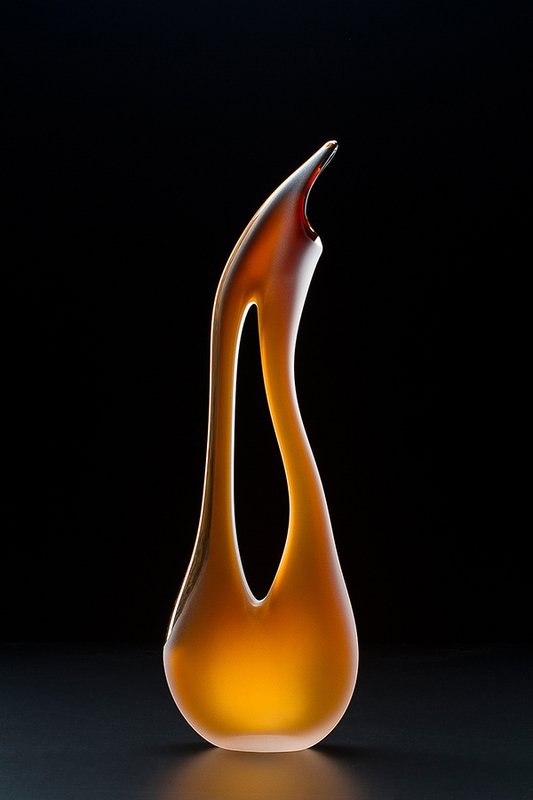 Exquisite glass blown sculpture and sandblasted to reveal the color of the cinnamon glass. Size: 30" X 9" X 5 "